Gone are the days when kitchens in our homes were hidden like closet rooms. Today, it takes centre stage in our living rooms and approaches to style your dining area are tremendous. 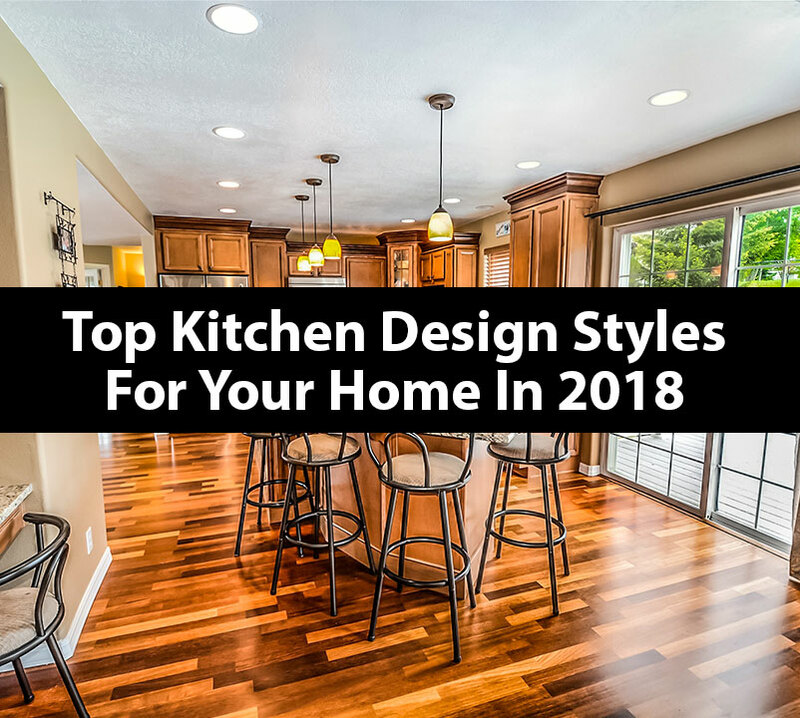 In this blog, an overview of the most popular kitchen styles is illustrated. Based on your personality and living space décor ideas, you can come up with numerous ways to spice up your kitchen. Or until your times comes, you can just stay informed on the various kitchen themes you get to choose from. Our interior designers (Chennai) will gives some interesting kitchen design ideas to make your kitchen décor more stylish. Farmhouses offer great functionality, comfort and give out warm vibes. When it comes to farmhouse kitchens, floral display is an absolute must. Use mason jars and have open shelves to allow your guests peek into your grocery stock. Farmhouses are all about: modern features, rustic designs and home-inspired accents. Always keep this in mind before you take a call on your design style. 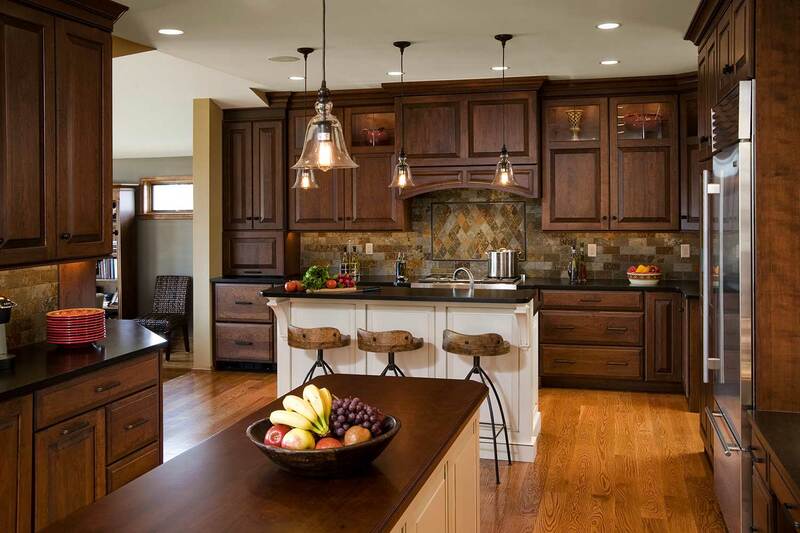 White, black and natural wood tones and simple shaker cabinets can give an approachable visual. 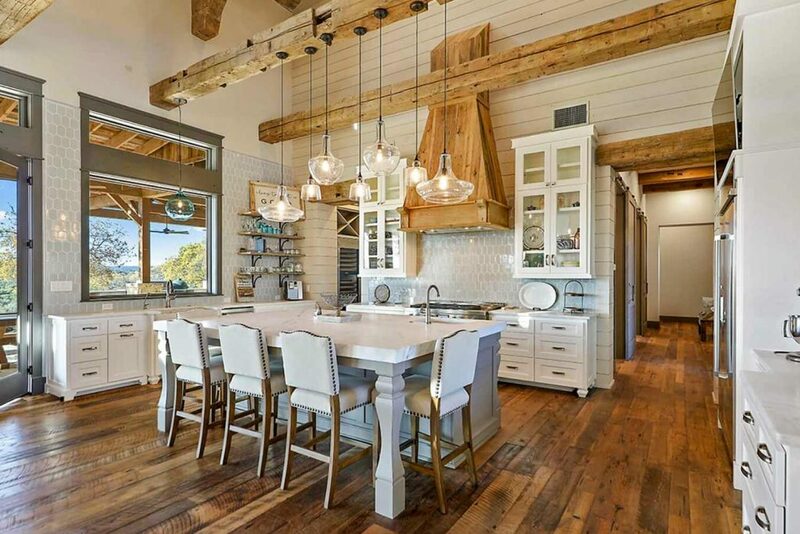 A list of items like antique clocks, copper light fixtures, wood flooring constitutes well with the farmhouse theme. It resounds a modern meadow atmosphere in your living space. Also, use a variety of textures to make the space look connected to the outdoors. Accessorise your kitchen moderately so that the area does not look out of place from the rest of your home. Vintage accessories and pine furniture are classic for farmhouse interiors. Though, they must not be delicate to the touch. 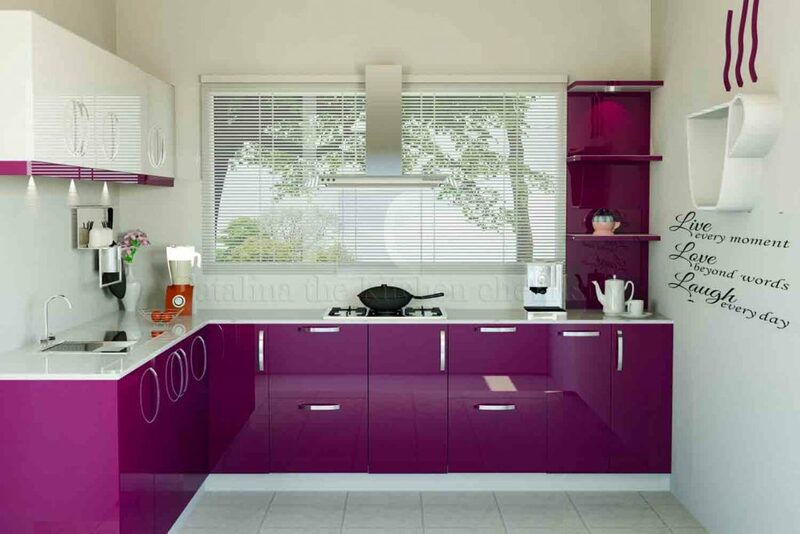 Recently, modular kitchen designs are preferred by design conscious home planners. 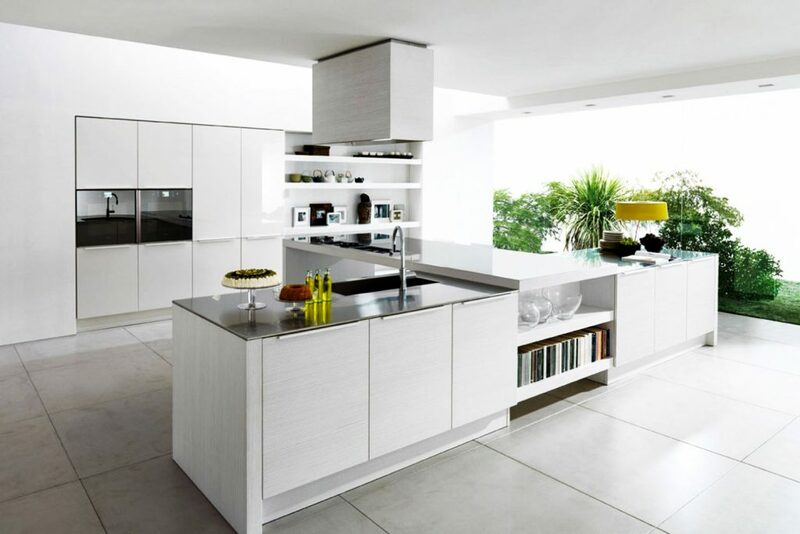 Modular kitchens are dynamic with modular storage plans and natural light setting. High-quality designs are expensive but elegant spaces use materials efficiently. 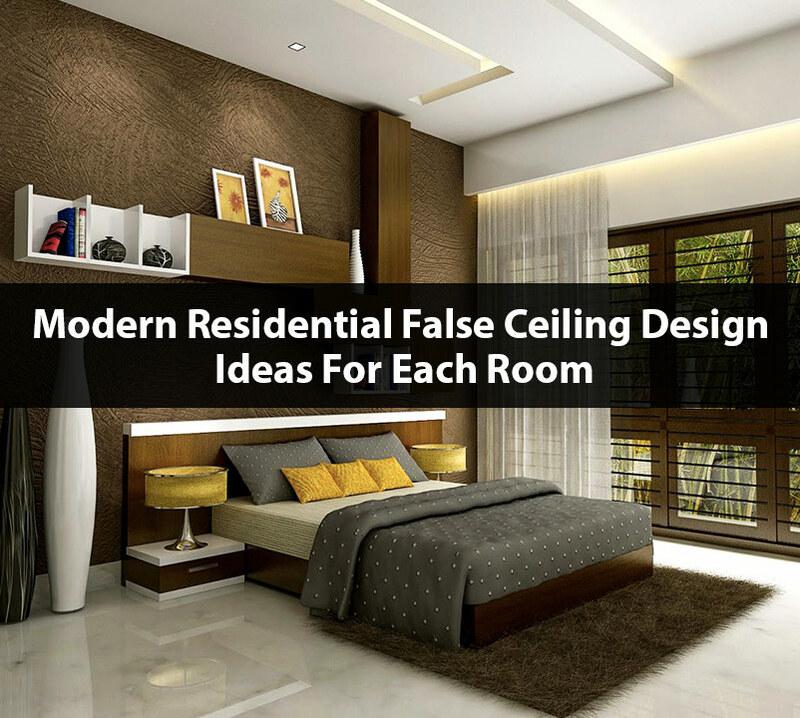 The beauty of this design style is how the competently you blend functionality into your design aesthetics. You follow one ground-rule: Choose contrast colours between the floor and the cabinets. You can turn your food preparation setting into a dining space by installing marble planks across the division. The mix-matched look works well for this type of style and kitchens with open bulb lighting gives out a sleek edgy display. Eclectic pieces of furnishings like cow rugs, cow rug and silver stag add a fun and relaxed vibe to your space. Modular styles totally transform your kitchen into a timeless and trendy look. Matt finish, fine craving and subway tiles make distinctive modular kitchens. Try customizing your modular kitchen with decorative items and let your creativity flow through your food space. It never fails to add a touch of drama to your home. Contemporary kitchen styles can never go out of style as they ooze out subtle elegant features. Certain aspects of modern and industrial kitchens influence this style of designing. You can simply install black cabinets to add visual interest to your space. Heavily textured floor or worktops create warmth and bold colour palettes transform your kitchen into a stylish entertaining place. Knocking down walls and creating an open space kitchen ensures natural light in your kitchen room with lesser effort. Vibrant colours like stark white, dark orange, citrus hues in your backsplash/cabinets bring out your striking personality. Black and white never let us down but contemporary kitchen designs with grey stokes in them reflect your contemporary outlook on life. Another popular option is the use of medieval barns over the top of your modern kitchen which creates a rustic looking architectural masterpiece. Contemporary designs focus mainly on practicality with the latest technology and hi-tech materials. Even with budget constraints, small additions and minor changes convert ordinary kitchens into modern-styled kitchens. For your beach-side home, coastal kitchens are the way to go. Before installing your kitchen, be inspired by the lazy lapping waves that create the mood in your space. The primary component for the coastal kitchen is your choice of colours. Light colours in soft hues tend to be gentle and soothing. Colours like light beige, seafoam green and soft pinks are predominant base colours that are being used. For lighting, rope lights or LED lights brighten spaces and also look part of the decorations. Murals with beach themes on walls escalate your gentle dining experience to the next level. Driftwood and actual sea-shells as centrepieces work wonders for the coastal kitchen style. Cottage and vacation themed artworks placed around your kitchen help you relax during cooking preps. Knowing that coastal kitchens are open, extra effort is appreciated on your furniture choices. Unfinished or stained wooden blocks as furnishings enhance your light and bright kitchen for a pleasant dining and cooking experience. Light colours, artwork that hint water splashes and clever touches with sea life-theme turns your kitchen into a seaside fit. As the name suggests, traditional styles have formal and elegant looking characteristics. References from European and American homes from the 18th, 19th and 20th century inspired our style. Few design styles in this category include Victorian, Regal, Georgian, Edwardian, Neoclassical, etc. The style uses traditional elements with modern practicality. Timeless design patterns and antique appliances constitute this design. To stand out, natural materials are chosen for this kitchen style. Oak kitchen cabinets with natural treatments are one among the many wood types available. 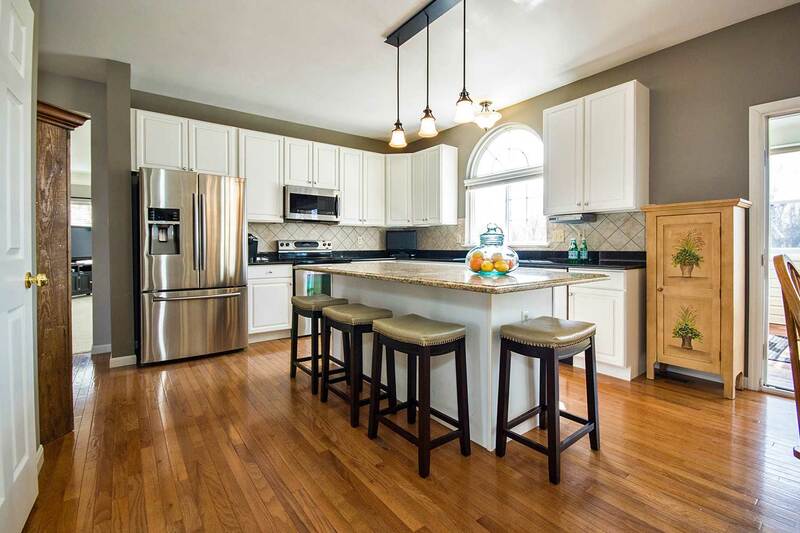 Traditional kitchen double as cooking and gathering spots for your guests to interact through the evening. Glass cabinets and elaborate ceiling hangings combine traditional and modern styles. Wood takes the centre stage for the traditional kitchen style and homeowners design their kitchens around the colour and finish of the wood. Neutral palettes might seem boring but contrast colour choices on your backsplash can add this visual punch. Let yourself fill your traditional kitchen with personality and updated trends. But, never let it compromise on its efficiency. In addition to all these styles, numerous other styles like rustic, minimalist and industrial kitchens are growing popular each day. 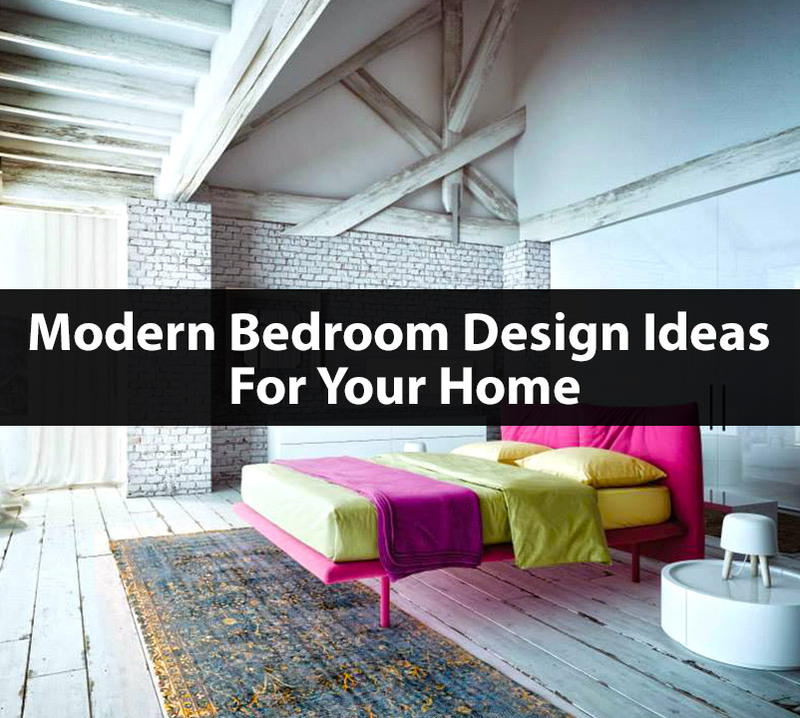 Design styles always keep evolving with time and if you like to design your home by yourself, you can refer our articles for inspiration and let us know what style you prefer? 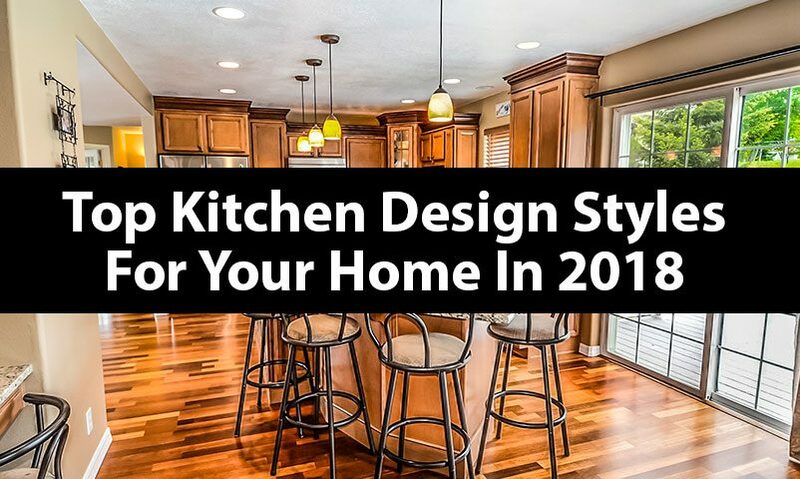 Are you ready to make these kinds of kitchen design styles for your residence? contact us. 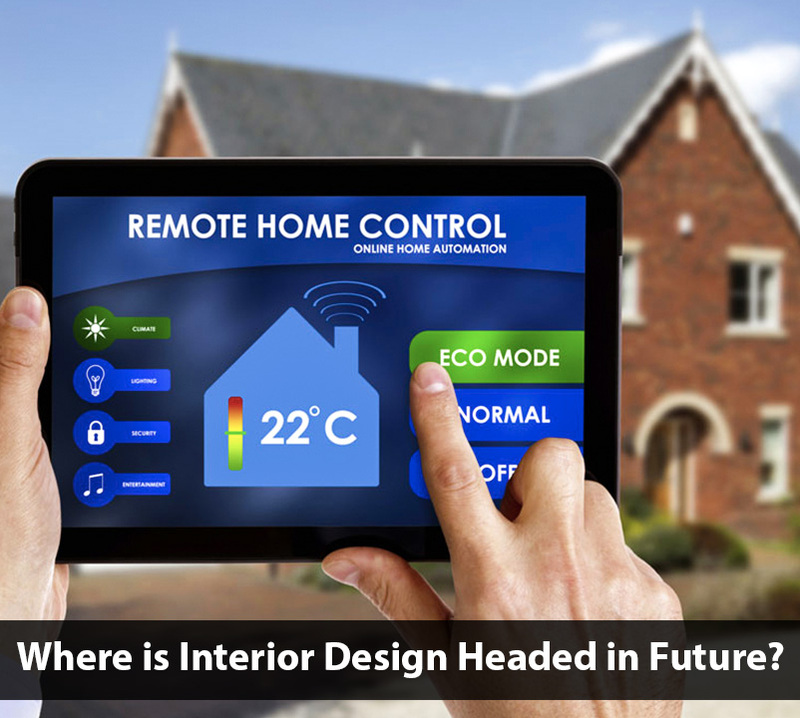 Check here that why interior designer prefers plants for home interior decoration?.